Divorce isn’t the ideal solution for every couple that hits a bumpy patch on the marital highway. You might want to remain legally married for any number of reasons, even if you no longer want to live together. A legal separation defines the terms by which you’ll live apart. Unfortunately, there’s no one-size-fits-all way to go about it because the rules differ quite a bit from state to state. Some states recognize a judicial separation process, and you would go about it in virtually the same way as getting a divorce. You must file a petition or complaint for legal separation, asking the court to decide terms such as support, custody, visitation, property division and debt division. Not all states call this process by the same name. In some, it’s a legal separation but in others, it may be called an order for separate maintenance. 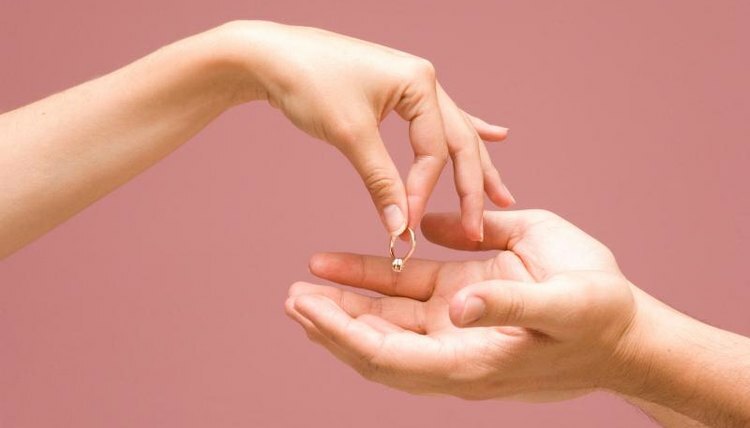 New Jersey calls it a “divorce from bed and board,” while Maryland calls it a “limited divorce.” Some states have no judicial separation process at all, so you’ll have to take a different route if you live in one of these jurisdictions. If your state doesn’t offer any options for judicial separation, you can separate by agreement. In fact, nothing stops you from reaching an agreement on your own and filing it with the court if you seek a judicial separation -- you can resolve issues so the court doesn’t have to decide them for you. When you sign your written agreement in front of a notary, it becomes a legally binding contract between you and your spouse. This is often a far less expensive and stressful way to legally separate. If you think an agreement is out of the question because you and your spouse aren’t even close to reaching middle ground, try using a mediator, an impartial third party who can attempt to guide you to a resolution. A separation agreement should cover all the same issues as a separation decree ordered by the court: custody, support, property division and debt division. Simply moving into separate households doesn’t make you legally separated. In most states, any property or debt acquired after you part ways is still considered marital if you don’t take some action to legally establish that you’re separated. You’d both have a right to the property and you’d both be liable for the debts, even if you didn’t personally contract for them or purchase them. Some state courts will try to determine a date on which you and your spouse decided that you were not going to reconcile and they’ll cut off property and debt distribution at this time, but you can’t count on this and identifying such a date can be difficult. At the other extreme are states where the sole ground for divorce is a period of separation. If you and your spouse say you’ve lived apart during that time, the court will take your word for it. Nothing governs the terms of your separation unless you choose to enter into a written agreement with your spouse. Whether you judicially separate or sign a separation agreement or contract, it’s typically easy in most states to convert your separation to a divorce when and if you decide to end your marriage entirely. If you judicially separated, you can usually file an amended petition or request with the court, asking to convert the terms of your separation order into a decree for divorce. If you separated by agreement, you can file for divorce and ask the court to incorporate your separation agreement into a divorce decree or judgment, making the whole divorce process relatively painless. Bird, Beverly. "How to Legally Separate." , https://legalbeagle.com/4441309-separate-marriage.html. Accessed 20 April 2019.